The cartridge technology and innovation from O2VAPE that is taking the vape pen industry by storm is now available in the worlds first Ceramic Cartridge Disposable Vape Pen. That’s right, the Traveler Extreme is taking single use vape pens to the next level with ceramic technology that doesn’t require any sort of a wick and gives you the purest vapor ever. We’ve even upgraded it to utilize a rechargeable component, ensuring your pen lasts longer than your oil, and your products shelf life is maximized. 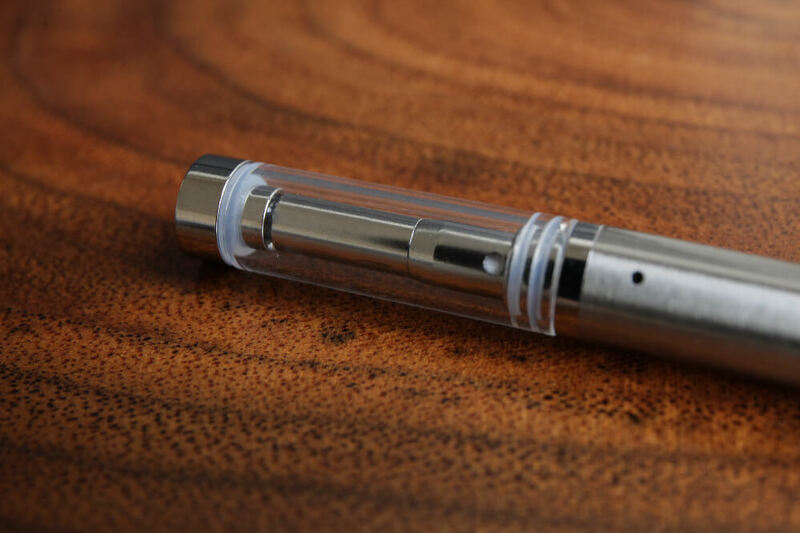 Disposable vape pens are commonly used by vape oil companies as quick and easy products that require minimal preparation and can be disposed of after the battery life runs out. However, the quality of those pens suffer due to cheap parts, minimal quality control and lack of innovation. While we offer disposable vape pens that are subject to strict controls and performance standards, we knew it was time to take the disposable model to the Extreme! The Traveler Extreme features a 3.7 volt battery that is perfectly powered to run the ceramic heating element inside the glass cartridge. This provides the best tasting puff and doesn’t mask the flavor of your oil with cotton or fiberglass wicks that can burn with higher voltage batteries. You can expect it to run for at least 200 puffs as well, we are seeing up to 250+ puffs in some cases. That mostly depends on how you use it and the length of your pull of course. An easy-fill screw on mouthpiece makes it super simple to fill up and while the quality would allow for multiple fills, we don’t recommend it. We don’t want the battery running out when partially filled. They are inexpensive enough to just use a new one. For the tech savvy, it’s a 320 MAH battery running at 3.7 volts with a .5ml capacity. Intake hole sizes are available in 1.66mm which works with the widest range of oil thickness.